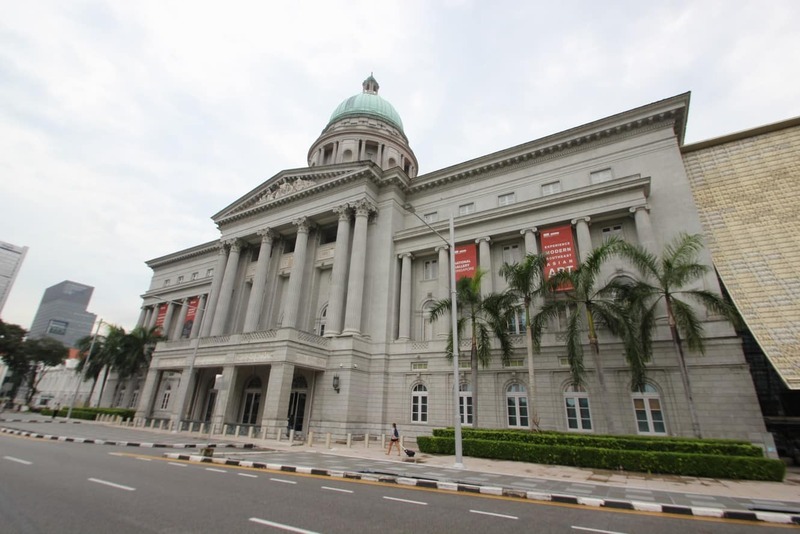 The National Gallery Singapore is the home of Singaporean and Asian Art, housed in the magnificent former Supreme Court and City Hall Buildings which were constructed in 1937 and 1926 respectively. 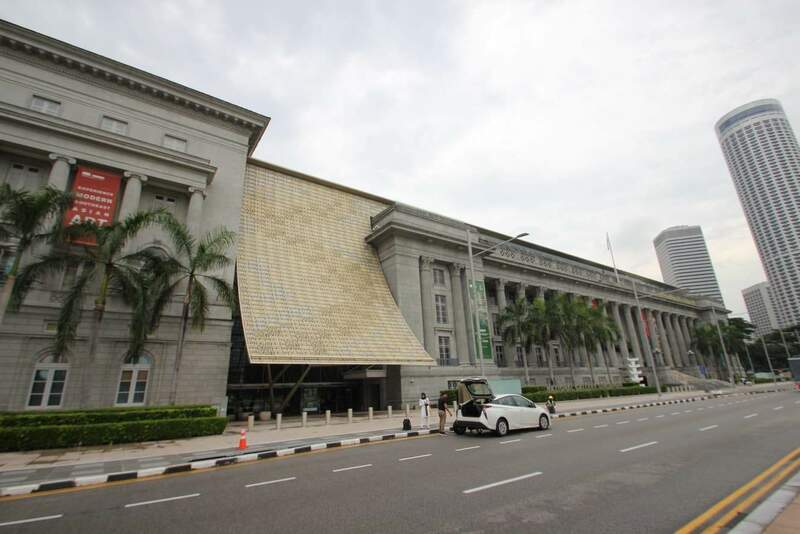 The National Gallery is a great place to visit for those looking to learn more about Singapore art as well as admire these magnificent buildings. 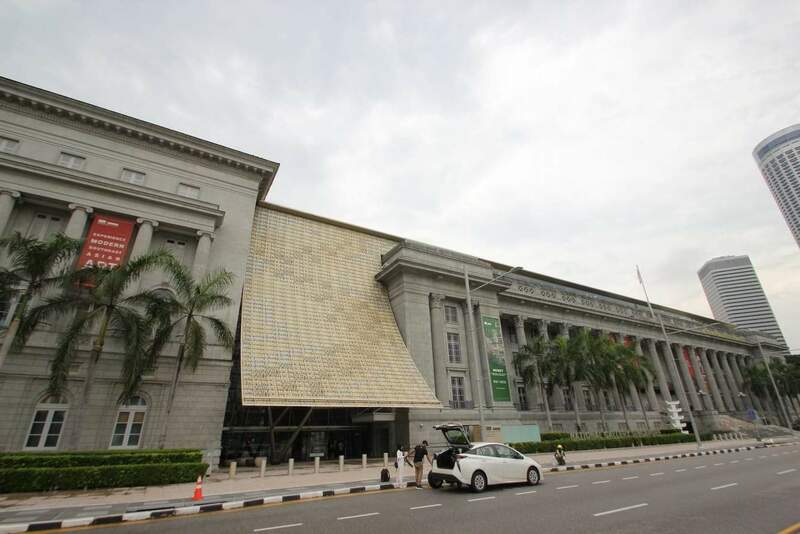 The National Gallery of Singapore oversees the largest public collection of modern art in Singapore. 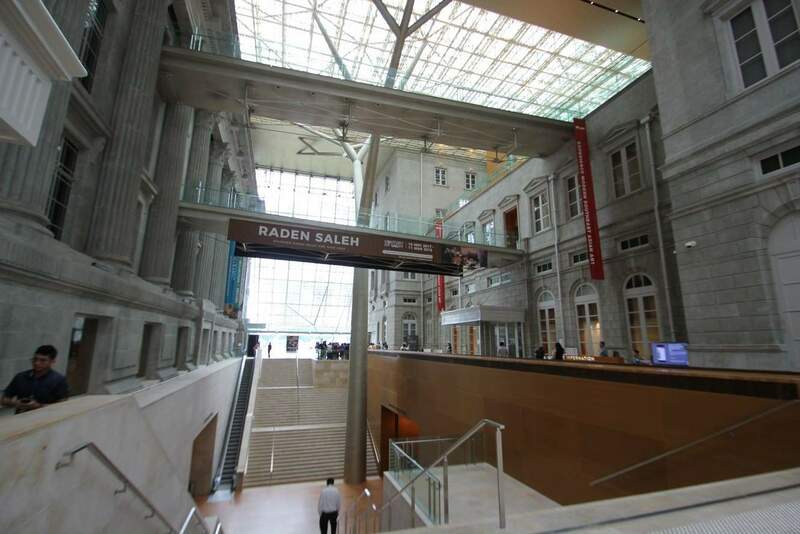 It houses both a permanent collection as well as special exhibitions of works throughout the year, all accessible to the general public. The gallery is also a great place to bring children, as there is a place for kids to learn about art through play at the Keppel Centre for Art Education. 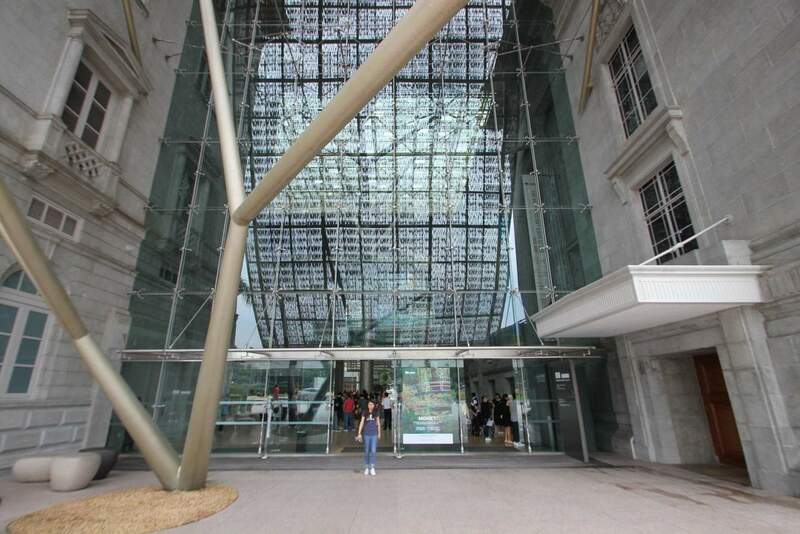 Here, kids can play in a creative environment and can visit the Children’s Museum, Project Gallery and Art Corridor. 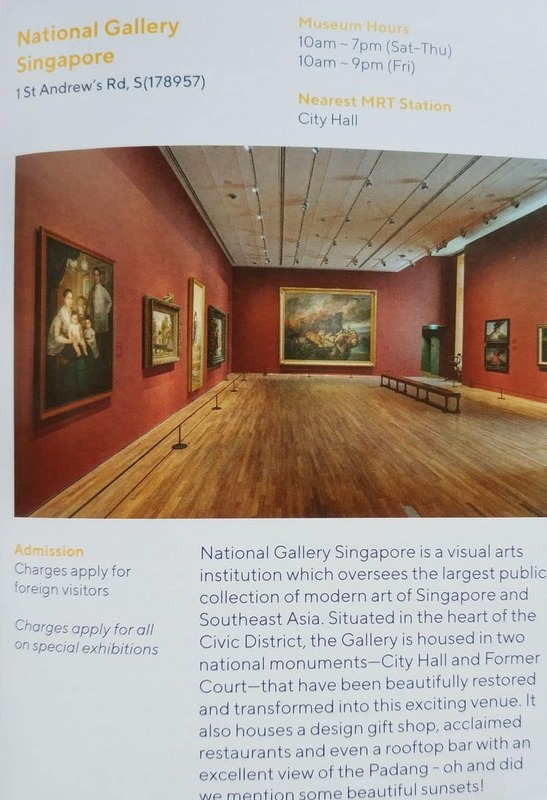 There are regular guided tours held at the gallery where you can be shown through the exhibitions with an experienced guide speaking in English. Mandarin tours are held on weekends only. There are 20 places in each tour and they will be filled on a first come, first served basis. 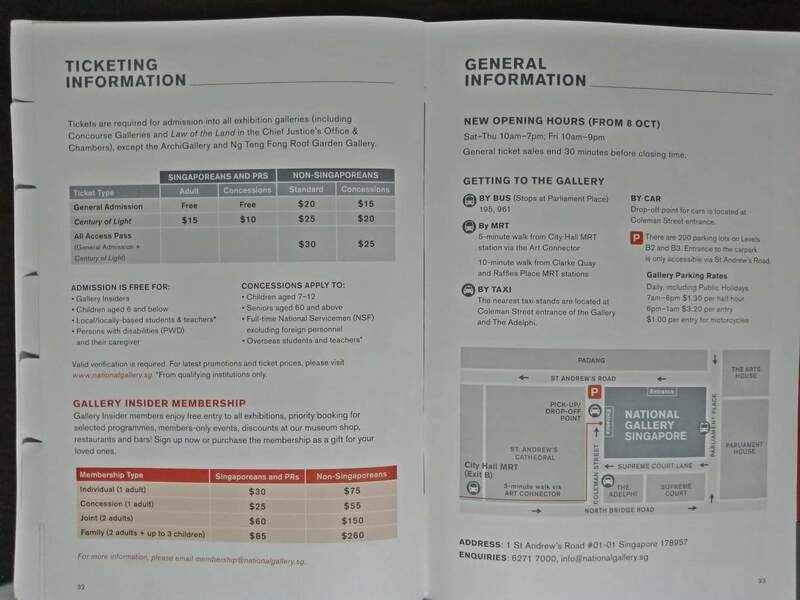 Join a tour at the information centre inside the gallery at B1. 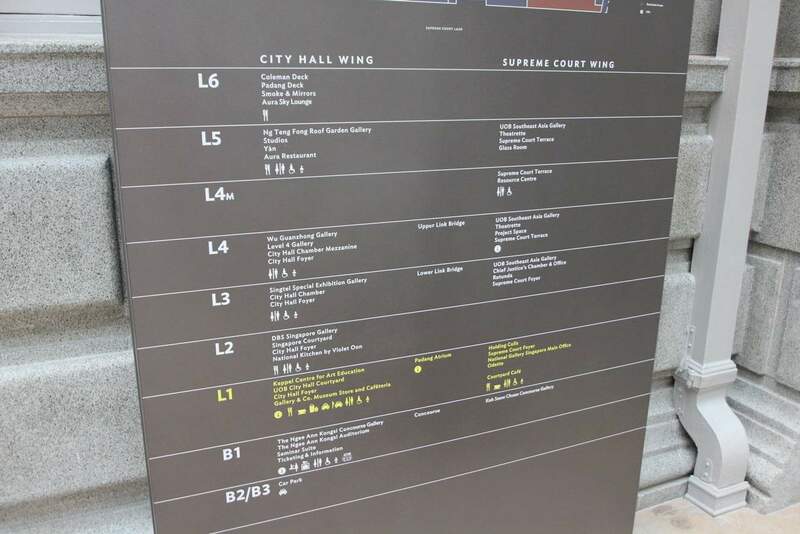 After your tour of the gallery, you can purchase a range of art pieces and souvenirs from the onsite shop, and you can also enjoy some lunch at the restaurants and cafes located here. 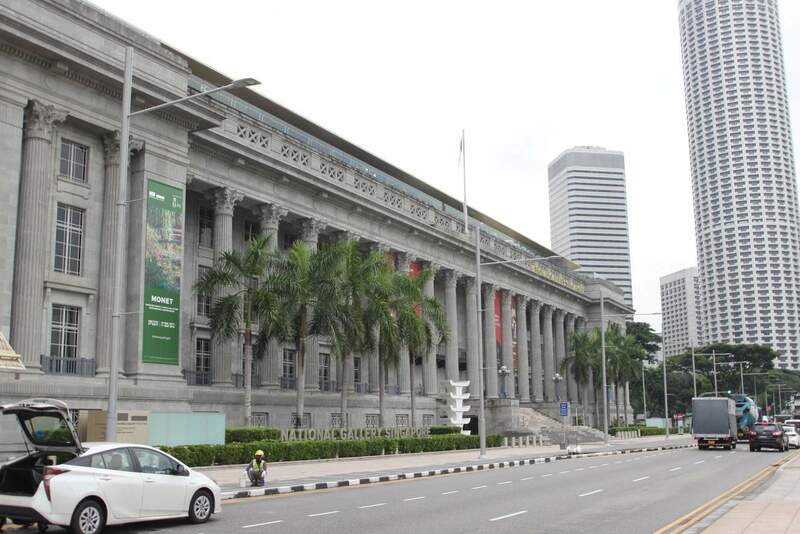 The gallery is located in the centre of the civic district in Singapore and you can get here by taking the MRT and alighting at City Hall Station. 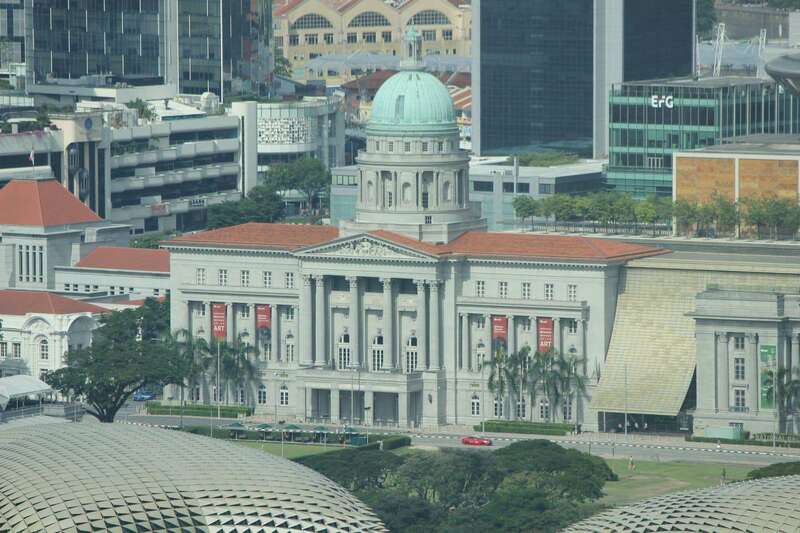 The National Gallery of Singapore is located just one block from here. Click the link below to buy your tickets online.